Rachel grew up in Ottawa, Illinois, dedicating her life to her passion for dance. She began dancing at Jeannie Marie School of Dance and continued there until she attended Columbia College in Chicago. While working on her Bachelor of Arts Degree in Dance at Columbia, she had the wonderful opportunity to work and dance with Mikhail Baryshnikov, Trisha Brown, David Dorfman, Liz Lerman, and many professional dance companies from around the world. She is very excited to share all that she has learned from these accomplished artists. Since her graduation from Columbia College, with honors, Rachel has been dancing for a Chicago based modern company called The Dance COLEctive. She has also performed with Anatomical Theatre and Breakbone Dance Company. She has also had the fun opportunity to dance for films such as Roll Bounce. She plans to continue her association with these groups of professional dancers, as she believes this affiliation will contribute to personal growth for her and her students. 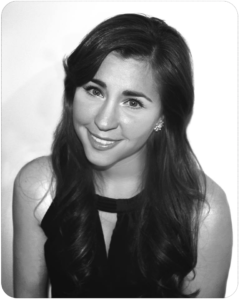 While living in Chicago, Rachel enjoyed teaching dance for the Chicago Childrens Museum, The Chicago Park District, the Jewish Centers of Chicago, and for the Chicago Public School District. She spent many summers and winter weekends with Marching Auxiliaries and Dance, which is based in Dallas, Texas. She was invited to join their staff after high school graduation. For the past ten years with M.A., she has traveled the country extensively to teach, judge, and choreograph young dancers at summer camps and at the Capitol One Citrus Bowl. After teaching and performing for years in Chicago, taking advantage of a variety of dance classes offered there, meeting and dancing with extraordinary artists, and traveling extensively, she was ready to close her suitcase and continue her dance career in one place. After much consideration, she was drawn back to her hometown to fulfill her dream of opening her own dance studio, Adagio. Since relocating, she has been married and added a daughter, Maya, and a son, Bodie to her family. She is thrilled to be opening Adagio’s door for the ninth year. Clayton Cross works nationwide as a choreographer, performer and master teacher. He is Choreographer in residence with Music Theater Works of Chicago where he choreographed and/or performed in Into The Woods, Anything Goes “Ensemble”, Pirates of Penzance “Ensemble”, Peter Pan “Nana/Croc”, Gypsy “Tulsa”, Mame “Ensemble”, Candide, Guys and Dolls, My Fair Lady, Die Fladermaus, The Fantastiks “Mute” and Damn Yankees “Eddie”. Clayton performed at Marriott Theatre in La Cage as “Mercedes”. Clayton is a master teacher for M.A. Dance, a Texas based traveling convention circuit, where he has been choreographing, teaching, and judging since 1999. Clayton has 3 times been a consultant and contributed choreography for the Capital One Bowl’s All American Halftime Show. Throughout his 20 year career as a dancer he has worked with Robert Battle, Fernando Bujones, Sherry Zunker, Paul Taylor & Anne Reinking. 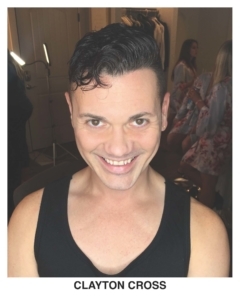 Clayton’s television credits include “Every Dancer Has a Story,” a PBS special on the River North Chicago Dance Company, where he was a company member for 10 seasons and toured nationally, and internationally. Clayton Cross is originally from Midland, TX where he received his early training from La Petite Dance Co., Coleman Academy, and the Midland Community Theatre as a member of the Pickwick Players. Clayton holds a double B.F.A. in Ballet and Modern Dance from Texas Christian University. Clayton is beyond thrilled to perform with Porchlight Music Theatre for the first time in A Chorus Line. Deana Brown grew up in Hennepin, IL, and began in dance at the age of three, training at various local studios in ballet, jazz, tap, tumbling and pointe. In high school, she started developing her skills in performance and choreography as an active member of Thespian Troupe #4705 and the Putnam County Panteras dance squad, giving her the opportunity to perform at the Illinois State Theater Festival as a sophomore and as a UDA All-Star in London, her senior year. She attended IVCC and, after receiving her Associate in Arts, continued her college career at Illinois State University as a Theater major, concentrating in Creative Drama with a minor in Dance and graduated with her BFA in 2001. While at ISU, she was a member of the Illinois State Dance Association and danced with the Illinois State Dance Theatre company in their Fall and Spring Dance Concerts. She also choreographed for and performed in the 2001 student choreographed concert. After college, Deana, moved back to her hometown and, with the exception of working as the lead drama counselor at Camp Baco/Che Na Wah in Minerva, NY in 2003, has stayed active in performing arts in the Illinois Valley area; teaching dance at the YMCA (Peru, IL), choreographing for the PCHS spring musicals between 1998 and 2003, and teaching children’s theatre and dance workshops. Throughout her career Deana has been involved in over 35 theatrical productions in the areas of performance, choreography and also directing. She had also assisted behind the scenes with music, make-up, costumes and props. These productions have been with Stage 212 in LaSalle, IL; Summer Stage Playhouse; and Engle Lane Theatre in Streator, IL where she is currently an active member of the Board of Directors. Some of her credits include playing the roles of Rizzo in Grease and Tracy Turnblad in Hairspray, choreography for Beauty and the Beast, Oklahoma and Guys and Dolls, and directing The Fantasticks. In 2010, Miss Deana, went back to her dance roots joining classes at Adagio School of Performing Arts. She is excited to be part of the family and is going on her second year teaching at Adagio. Lauren Pfeffer grew up in Ottawa, Illinois and began dancing at the age of 4 at Jeanne Marie’s School of Dance. She has trained in ballet, jazz, tap, pointe, modern, musical theater, hip hop, as well as some tumbling, contemporary, and lyrical. Although Lauren enjoys all genres of dance, her real passion and strength is tap. Lauren was a competitive dancer from the time she was 10 and was also a competition choreographer in her later years. She was also selected to be the Sugar Plum Fairy (pointe) for multiple years in the local Nutcracker. Lauren became an assistant teacher at the age of 12 at Andrea Jean’s School of Dance and later became a teacher at the age of 17 after the studio transitioned into Ottawa Dance Academy. She continued to teach at the studio and throughout the community until leaving for college. She was a cheerleader from 5th grade through 10th grade making football cheer captain her sophmore year at Ottawa High School. She decided to switch to the Pomerettes her junior year and was captain and a UDA All-Star, during her senior year. After high school, Lauren went back to her childhood grade school, Wallace Grade School, to coach the cheerleading and pom squads for a couple of years. After graduating high school, Lauren attended IVCC where she earned her Associates in Science and then went on to transfer to the University of Wisconsin-Madison. While attending UW-Madison, Lauren was involved in multiple dance student organizations, including MadTappers, where she was able to have weekly classes with peers and guest instructors. Lauren eventually transferred to the Illinois Institute of Arts – Schaumburg campus, where she earned her BFA in Fashion Design with an emphasis in Dance Apparel and Performance wear in 2013. After graduation, she was accepted into the Disney College Program, at WDW Resort, for Entertainment Costuming. She was stationed at Magic Kingdom and helped the performers with costuming backstage for the parades and holiday stage shows. After Disney, Lauren decided to move back home where she worked in the fashion industry in the suburbs and downtown Chicago for a short period of time. During this time she coached the Marquette Crusaderettes from 2014-2017. She also became a full-time cast member of Meraki Dance Company, a modern and contemporary dance company based out of Naperville, IL. Through Meraki, she had the opportunity of working with Debra Nanni, Shannon Brodie, Amy Braheny, and Taylor Erwin, along with fellow company members. Lauren also had a small supporting roll in the local Ottawa film, River City Panic. Through the movie, Lauren met her long-time boyfriend, Joey, and they decided to settle down in Ottawa. 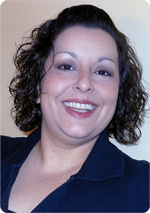 She returned to IVCC for graphic and website design classes and now works for Amanda Hart Design, in Ottawa, Illinois. Lauren joined the Adagio family in 2016 and loves having tap dance back in her life!